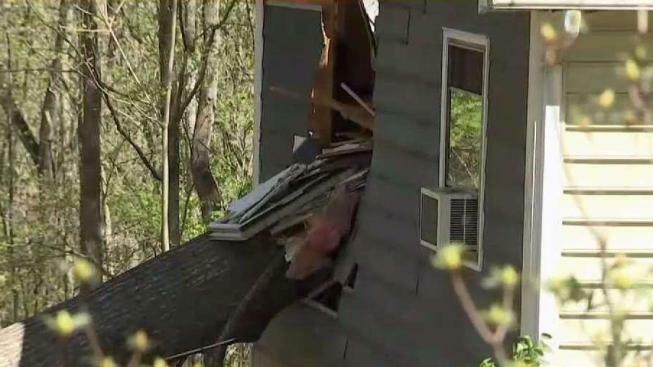 A tree crashed through a Virginia home early Monday, killing a 78-year-old woman during a severe storm. The tree fell on the residence before 1:45 a.m., pinning Cathy Tyler, who was asleep inside, according to the Stafford County Sheriff’s Office. She was pronounced dead at 2:02 a.m.
Tyler’s 82-year-old husband, Tim, was injured and was taken to a hospital for treatment. He said he was able to roll out of bed. The couple had been married for 62 years. The overnight storm brought lightning and high winds. Neighbor Bill Schisler said the storm woke him up, and his family took cover in their living room — the room farthest from any tall trees. Cathy Tyler worked in her son’s auto restoration shop, starting as a bookkeeper before discovering she like working on cars.